On our journey home from Davos we all read several articles about the perceived outcomes, or lack thereof, generated by this gathering of 2,500 of the great, good, and not so good. These articles were mostly based on interviews with business leaders and politicians who have their own audiences to think of. Invariably these articles describe how these business leaders, government leaders, and the wealthy talk a great deal and achieve little. In many ways they are correct. There are many meetings and a great deal of them are entered into with selfish objectives. Of course. Plus there are the many many bilateral meetings where the objectives and outcomes will remain forever hidden to those who were not present. But there are also many meetings that seek to find ways to increase dialogue and understanding, and even reach some sort of shared understanding of an issue. These are the meetings that The Value Web has the privilege to be involved in. And while it is true that some participants do not attend these, we are always surprised by the number of influential people on all sides who do. 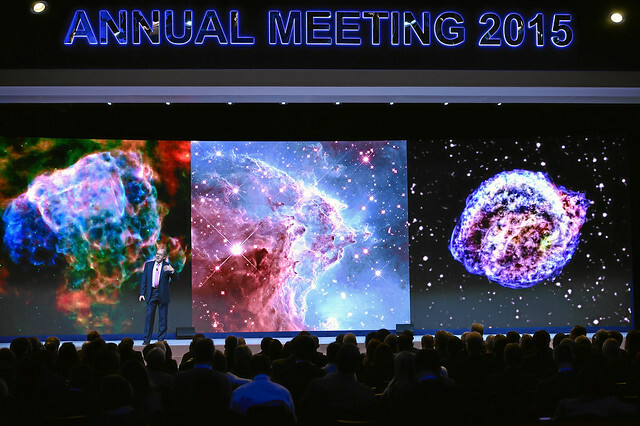 This is the real aspiration of the Annual Meeting, to bring together a multitude of influencers with diverse points of view on a myriad of topics to share ideas and learn from each other. It is not a decision making body. It does not have a mandate to make decisions. And yes, it does have its failings. But its power lies in the simple fact that it brings together people who make decisions and people with ideas. And it does that on a larger and more encompassing scale than anywhere else. While not perfect, that has to be a good thing.